Introducing a good dental care regime into a dog or cat's life from an early age is a great way to bond as well as giving an owner the change to get to know what is normal in your pet's mouth. This will then become the norm for your pet, making brushing easier (some dogs love the flavour of toothpaste so see it as a treat). 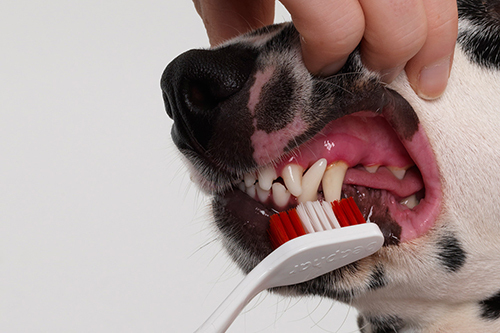 If your pet hasn't been exposed to tooth brushing from an early age, it's not too late to try. Patience is key and offering a healthy treat as positive reinforcement is often a good way to introduce them.